I have been following the story on the Boston Marathon. I was in my bedroom when I read the tweets that the horrific tragedy of three explosions killing three people and severely wounding others. The pain, knowing that these people might be missing limbs due to this horrific tragedy is completely daunting. While this is probably true, this has nothing to do with the lives that are lost when people are dying. I also read an article online on how Westboro Baptist Church plans on picketing the funeral of the 8 year old boy. It shows how broken and how our focus leads into the direction that should lead us to help mend the situation, not to make it worse. James 3:7-8 For every kind of beast and bird, of reptile and sea creature, can be tamed and has been tamed by mankind, but no human being can tame the tongue. It is a restless evil, full of deadly poison. We as Christians have a tendency to say a lot of things. Some are good, a lot are bad. What we say can potentially change the world. A lot of the things we say, even when I write this and you are reading the words have power. Lots and lots of power. So powerful, it has the potential to make someone feel good, or it has the potential to kill, destroy, hate, fuel anger, fuel hatred. People can tell when you are being genuine. We can also hurt and affect people a lot of the times with our actions, are words, are choices. Pray without ceasing. These people need our prayers, our support. People need to know that Jesus does care for them and that Jesus also weeps with them. They need to know the protection and the power of the blood of Jesus. To pray for the family of 8 year old Martin Richard. To feel the compassion of the people who have been affected, to be the sense of comfort for them. Prayer changes things, please believe that. The Body of Christ is NOT dead! The body is alive and well! Isn’t that great?! I will say it again. The Body of Christ is alive and well. So if the Body of Christ is alive, let us be the Body. Let us come along side and help the people in need. Instead of the countless “should have done this to other countries” or “what did people say about abortion” why not be somebody that assists. Right now. If we worry about the inevitable, we can not worry about the now. Start now and make a new ending. What good is it to critique others? Lets come together and be on the same page. Lets be the change that we want to see happen. This change is life changing and can affect anybody and it starts with you. Use that time and energy that you focus on others and start worrying about what you can do. An amazing picture of what Christianity is when the people of Boston during the horrific accident is when they all were assisting each other, and putting themselves in the face of danger and trying to assist those in need, giving blood to people who have been injured in the blast, in the face of danger that they will lay down their live for their friends. What would Jesus do? That! Jeremiah 42:10-12 (ESV) If you will remain in this land,then I will build you up and not pull you down; I will plant you, and not pluck you up; for I relent of the disaster that I did to you. Do not fear the king of Babylon, of whom you are afraid. Do not fear him, declares the Lord, for I am with you, to save you and to deliver you from his hand. I will grant you mercy, that he may have mercy on you and let you remain in your own land.I will close with a song that is dear to my heart. Last time I heard it I was reflecting on what amazing power that it has. Listen to the words of the song and feel the emotion that goes through it. Have you ever broken a bone? I thankfully haven’t. I do remember a story when my mom told me that she was riding her bicycle to the grocery store. What she was told to do was to retrieve a 10lb bag of potatoes and take it back home. She told me that she hit a bump while going down the hill and she fell to the side. Meanwhile, the bag of potatoes has fallen on her arm and she had to have a plate on it. While there is many stories on broken bones, as you may know, we ourselves are indeed broken. So as the Body of Christ, as we are seen in His own image, the division in the Body of Christ is indeed broken. While following this theory, if anyone has been following Rick Warrens story, you would know that Rick Warren has lost his son to suicide. While a lot of Christians saying negative things about the eternal salvation of his son Matthew (awesome name) but bringing up Rick Warrens theology, his flaws, and his beliefs at one of the most crucial times in Rick Warrens life. Can disagreements about theology steer away from the actual person? Lets back up and go to the illustration on my mom for a moment. In the body of believers, there is a sense of disconnect like a bag of potatoes have been dropped on it. Something (could be spiritually) has dropped on that person and made a personal disconnect with other believers, their theology, and or them as a person. I know personally, I am personally guilty with it. I remember being theology my key factor and what I held on for me being a Christian. I had to be right. That was my key thing was to be the person who was accepted by leadership, by “spiritual leaders,” and or to make myself feel “great.” It is such a lie. What can we do on the person. Mark 12:31 states it all, we love our neighbours as ourselves. Love is not a battle who is right or wrong. Love is showing somebody that we care for and their families well being, regardless on who is right or wrong. It is about showing compassion to people that have experienced a gain, or a loss. Proverbs 17:17 A friend loves at ALL times and a brother is born for adversity. I am a person who loves the study the word of God and loves to read books. I love getting the feeling of real life people that have saw miracles happen, and that quite potentially be in the same predicament that I am in. Its rather incredible that these people were able to live for God under such unfortunate circumstances, to be beheaded, all in the name of Jesus. Fear of dying and fear not losing everything was an amazing story. I have read and been trying to listen to sermons on and off again for the past year. Having a rough year, I would try to focus on Gods voice and what to do with my life in the future and what He is doing now. I have recently moved to my moms house due to financial issues. I would have to live with my step dad in which he is very violent and controlling. Before I was used to it because I have been living with it for quite a long time. Now, I am deeply afraid because when looking back on it, things that he has done to me are not normal from a “traditional family.” I have been struggling, been harassing friends feeling like I need to fill up, losing tons of sleep at night, crying in my room alone, being afraid to speak to him or my mom because I knew I was going to be yelled at for something. There was no running from it. I easily became depressed, angry, lashing out on people, confused, upset, and most importantly, unable to think of the plan that God has for me. If I am following Your plan God, what are you doing and why is it so frustrating? So here God was, and he is feeding Elijah and giving him water from the brook, and the brook dries up. Main water supply dries up and you don’t know what to do and how to live is very very scary. It means that you either need to think of something, or that you need to start trusting in Gods perfect will. I personally do something, and its probably stupid…not going to lie. Why is this in Proverbs? Maybe because Gods will is perfect, your will is not. Basic. Simple. Admitting that I mess up on this makes me think that I need to restart my thinking process when it comes to God and His perfect will. I stated this at the beginning of the post: What is God doing now? He is saving me from my previous sin by his Son, my brother Jesus! He provided me a place to one of the richest countries in the world! He gave me the opportunity to taste, touch, smell, to worship Him, to experience His FULL goodness by sharing why that any of this stuff matters to anyone who reads, who either subscribes to this blog or anybody who reads this on twitter. God loves you, be sure to receive that love. I was talking to my pastors wife and even though that this is a popular verse I need to cling on it because this is where trust comes in. If I want healing, I need trust. It will help me in the future with forgiveness with my step dad, and my real dad. It starts with God, and even though that there is a dry area and no water to drink, God will direct a way and He will do it with His love and His guidance and His grace. How did God help you in a dry area? Today has been the forth year that I officially been a Christian. I remember the day so well. I remember that I was coming off a spiritual high at a high school and I remember one of my friends Brendon prayed with me and I felt an overwhelming joy. I also remember that I was on a spiritual high for the whole weekend. I was excited to change my life around and I was excited to finally get some positive friends. I was about to be picked up by my friend Troy. I was able to get a ride by him, but I heard that there was an accident and he needed to take a detour. I later then had the best day of my life due to positive role models, and me feeling the reality of Jesus in my life, even though I didn’t know everything. I went to school and I realized that it was a girl that did have an interest in me…Missy. It was her that was in an accident near my house. I still miss her to this very day. Why does this story matter to you? For a runner to win a race, they have to train. They have to go through resistance, struggles, and heavy lifting to be physically fit to beat their competitors. For Christians, our competitors is the world. The resistance is the world. The struggles is worldly things. The heavy lifting is the word of God. Sometimes its something that you don’t want to hear and the truth hurts sometimes. The truth is more important than living a lie. I could have easily been in that car and die because of the poor decisions that I have made. I am glad that I chose Jesus from the standpoint that my life would have been over and eternity would be forever lost with the greatest man who ever lived. I am guaranteed to be on the right hand of God because I can confidently say that I love Jesus and I choose him over anything. As for the lost, make sure that they start somewhere. Train and equip the people who are lost and make sure that they choose an eternal life with Jesus. Eternity is a long time to make the wrong decision. Being young is tough, especially when you have talent. Many opportunities can make you, break you, and hurt you. Many people seek after people; getting discovered or making dreams. Many people have dreams and many get them taken away. I have a dream that I would produce dance music. I remember when I was in college I was hooked on hard base techno. It changed my life. It made me dance all the time and that is all I thought about. I was on YouTube and connected with this guy who owned his own label. I have a dream of making my own music and producing it. It would be great, however I would be in the secular society all the time and would be hard to live as a Christian. I will come back to this later. As I previously stated in a couple of blogs, I had a rough go that changed my perception on how I viewed God and how I viewed the church as a whole. It challenged me and left me heartbroken. It misconstrued a lot of peoples mental decisions and it showed that people aren’t who they seem. I remember years ago there was this girl who had so much talent at church. She was younger at the time and she was a power house when she sang. It was amazing to see her with so much talent and God was in the center of her life. It was clear it was evident. I recall this girl told me about a situation that had her and her mom over the edge. Her mom was fearing for her life. Her mom was involved in a domestic abuse and there was no choice but to leave. The mother was rather upset, and so she was trying to get help from the pastor. The pastor told her that she had to stay. Thankfully she didn’t listen or they would have been seriously injured. However, the pastor has no contact with the family and that resulted in a lot of hurt, frustration, anger, sadness, lonliness, drinking, drugs, and abandoning God. Psalm 22:1-2 My God, My God, why have You forsaken me? Far from my deliverance are the words of my groaning. Oh my God, I cry by day, but You do not answer; and by night I have no rest. Anyone whoidentifies with this scripture knows what I am talking about. Anyone who has been a Christian and who tells the truth has struggled with unbelief. It is very devastating that people that were for Jesus have walked away from the Christian faith. 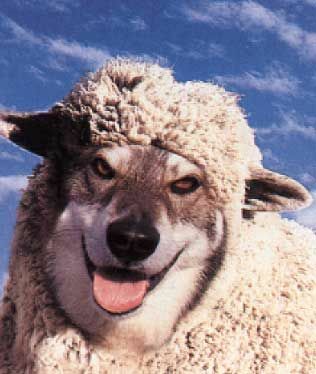 A “wolf in sheeps clothing” who claim to be for Christ can also be the biggest danger if they know what they do. I find, from experience, sometimes being over zealous can get in the way. Sometimes being over zealous does more damage then it does good. Sometimes people give up to easy. Guilty as charged. So what do we do about this? 1 Thessalonians 5:3-12 While they are saying, “Peace and safety!” then destruction will come upon them suddenly like labor pains upon a woman with child, and they will not escape. But you, brethren, are not in darkness, that the day would overtake you like a thief; for you are all sons of light and sons of day. We are not of night nor of darkness; so then let us not sleep as others do, but let us be alert and sober. For those who sleep do their sleeping at night, and those who get drunk get drunk at night. But since we are of the day, let us be sober, having put on the breastplate of faith and love, and as a helmet, the hope of salvation. For God has not destined us for wrath, but for obtaining salvation through our Lord Jesus Christ, who died for us, so that whether we are awake or asleep, we will live together with Him. Therefore encourage one another and build up one another, just as you also are doing. In regards to this situation, the girl turned out to love the party lifestyle. As for me, I am now have no interest in producing music for this record label. My life is living for Christ. I love Him, therefore I want others to love Him. I want to show her that there is no other way. Jesus loves you so much that he wants you for himself, and loves you enough to make a decision for you to choose him or not. For us as Christians assume that we are good stewards and wanting to bear fruit, we need to make sure that A) we are able to evangelize, despite the brokenness that we have and B) take what we know and use it for Gods glory. Lives are too precious to spend an eternity in hell because of mans poor choices. I find that people need to take others where they are at and work with them. Always said that, always wanting to assist, always want people to try to love others and give them a rock to stand on. Truth and being genuine always comes from relationship. It always comes from love and it always comes from Jesus. Jesus is the way the truth and the life, no one can get to heaven or the Father except through JESUS. Let Him be your God, let Him cry with you. Let Him love you. So readers, I need advise. How do you give the message to the brokenhearted? If you are a frequent reader of my blog you have realized that I have been through a lot when it comes to family. Things aren’t too much different. I still hurt, but what do I do with it? What Is your outlook? I can tell you one thing right now, when I feel pain, I look elsewhere for for my pain. I never look to God unless I am reminded or unless I have assistance. Because it draws you closer to the God who cares for your soul. I was pretty down today because I thought my life was insignificant. I hit a rock when it comes to my depression. It then spirals down to potential suicide. I wasn’t at that place tonight, but it does happen, its a spiritual attack, and its real. But if you are a believer in Christ, be glad that He is on your side. John 14:27 – Peace I leave with you; My peace I give to you; not as the world gives do I give to you. Do not let your heart be troubled, nor let it be fearful. I have a quote about pain by a well known author Kahlil Gibran. When I first heard this I thought it was a very touching poem. It also reminds me that God is there for you when you are thirsty, and He is always your comforter. Stay with Him, for He will never leave you or forsake you. If you are a reader of my posts I have been through constant issues with family. I don’t want to have issues with them because I love them dearly. However, it is biblical that I have to honor my parents in any way I can. So it brings me to this question, what does honoring your father and mother look like? I have found this video on YouTube that shows the up most respect for how I personally want to please God. In this video, it makes complete and utter sense to me that there is someone who loves their dad a lot to make a call like that too. Keep in mind, I will never be a millionaire and quite honestly, I don’t want to be. However, I feel as if that the love that he has for his father is far more great then winning the million dollars. For that, I want to be God glorifying like that as well. I want to make sure that I am honoring my parents, not necessarily going down the path that they are going through and or went through, but to make sure that I am bettering my future for my greater good. I want to bring glory to God in the highest. Deuteronomy 5:16 Honor your father and your mother, as the Lord your God has commanded you, so that you may live long and that it may go well with you in the land the Lord your God is giving you. How will you honor your parents?